Dr. Perreault of Atkinson NH is a doctor of dentistry. 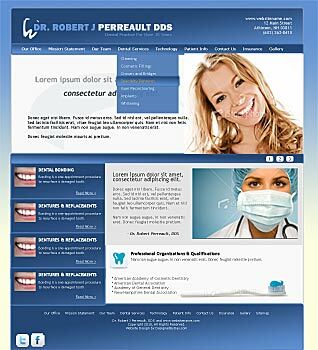 In late 2009 Dr. Perreault commissioned Designed By Day to design and develop a new website and establish an online presence for the dental office. The concept you see on the left is the first of several drafts based on the look and feel Dr. Perreault is looking for. Colors and minor layout changes are being made and the website looks to launch in spring 2010.